Cover more of your floors than you ever thought possible with value and versatility afforded by our stylish and durable selection of vinyl flooring. When the time comes to replace the old and fading floors you have been living with for years, our vinyl tile flooring makes a viable alternative. You can choose from a broad assortment of styles and colors that are sure to match whatever design plan you have. Our reputable flooring store is your source for the vinyl sheet flooring you need from the name brands you know and trust. Bring in your design plan and any samples you may have handy, and sit down with a design specialist at our showroom. We can help you find vinyl plank flooring that helps you enjoy the look of natural hardwood in places like your kitchen and basement. There is no limit to the design possibilities when you work with our team of flooring professionals. Finding the right type of flooring is only one step in the renovation process. To get the best fit in your home, and the most value from your entire project, take advantage of our vinyl flooring installation process. Transform your house into the home you have always dreamed of by making our store a part of your project today. Expand the scope of your design plan with the value-added vinyl tile flooring we offer every day. You get the traditional appeal of tile, with the lasting durability of vinyl. This option for flooring is every bit as beautiful as traditional tile flooring, while offering a softer feel with more give. That can come in handy if you have a busy family and you spend most of your day on your feet. With the right tools and a creative approach to installation, your floors can feature original patterns unlike anything you have ever seen. Give us an idea of the structure of your home life, so we can find a variety of flooring that is capable of withstanding the traffic you expect. When you have a busy family full of pets and kids, you need a flooring option that looks great and is easy to clean. Our vinyl sheet flooring is the answer to this need, as it provides you with a contiguous surface that gives dirt nowhere to hide. Your guests will be amazed by the consistent look and unbroken pattern, and you will save time and money each month on cleaning. Everyone loves the look and character of traditional hardwood floors, but some rooms experience higher levels of moisture and changes in temperature. When you take advantage of new vinyl plank flooring, you get the original grains and distinctive patterns of real wood in the form of resilient vinyl planks. Instead of limiting your design choices, you can now get the plank flooring you have always wanted in places like your basement and kitchen. Protect the investment you are making in the value of your home by taking advantage of our vinyl flooring installation process. You get the best fit for your distinctive living space, and you avoid the possibility of needless repair costs down the road. 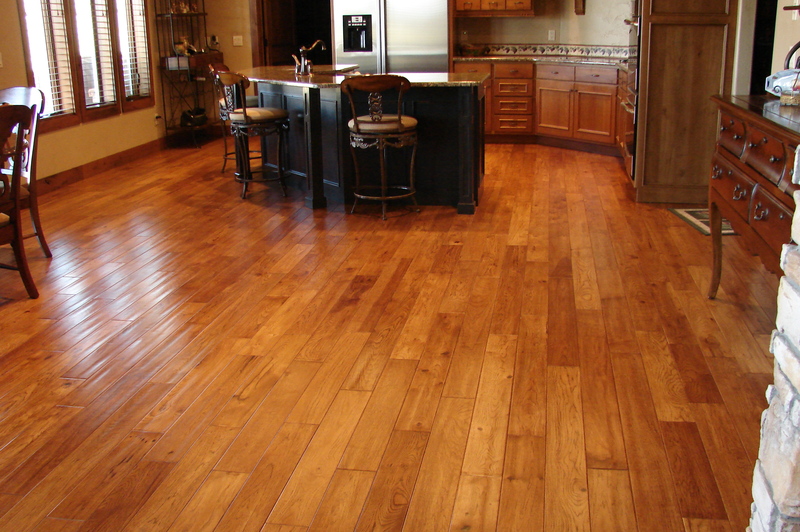 Our team will treat your home with the same respect they give their own, and your flooring will last for years to come. Contact us and get a free estimate today from one of our vinyl flooring specialists. We proudly serve customers in Seattle, Bellevue, Bothell, Edmonds, and Issaquah, Washington, and surrounding communities.